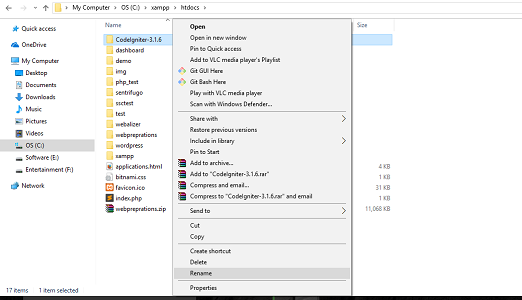 Dear Reader in This Tutorial let us We Know that “How to Install Codeigniter Framework in Windows Operating System Using XAMPP Server“, So in this Tutorial, We Learn Step By Step Codeigniter Framework Installation Process. 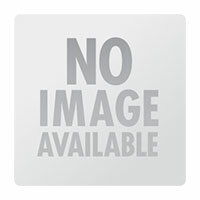 CodeIgniter is a powerful PHP framework with a very small footprint, built for developers who need a simple and elegant toolkit to create full-featured web applications. 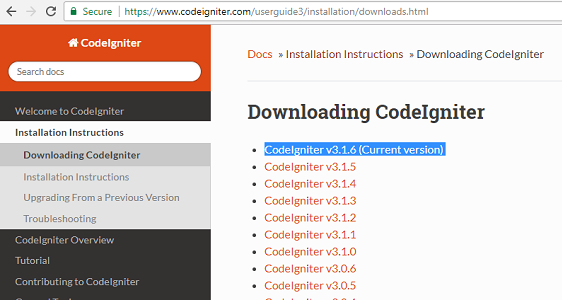 CodeIgniter is loosely based on the popular MVC Structure. 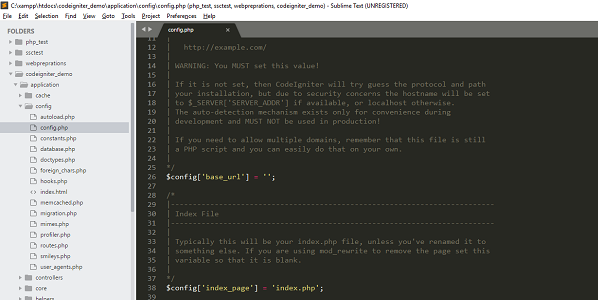 CodeIgniter was created by EllisLab. 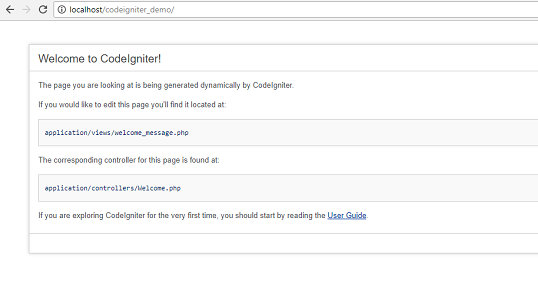 CodeIgniter is most often noted for its speed when compared to other PHP frameworks. Step 2. 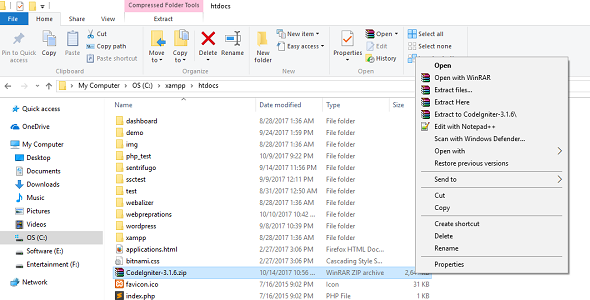 Copy Downloaded folder from where you save the Zip File and Copy in Your XAMPP Server htdocs folder. Step 5. Let’s See the selected folder got to the application folder, here you can see MVC structure like controllers, models, and views. Step 6. Inside the Application folder that has config folder available, you have to config base_url and index_page. See the following screenshot. Step 8. 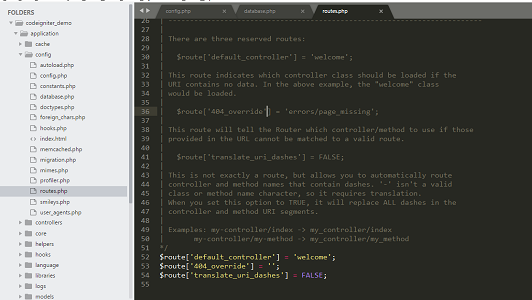 In CodeIgniter Routing is very important. 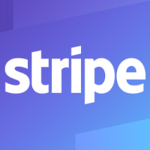 Default route for web application. Wow! Its a good jQuery script; I was also looking for that, therefore i got it right now from at this place. Keep it up admin of this site.